8 Gardiner Man. 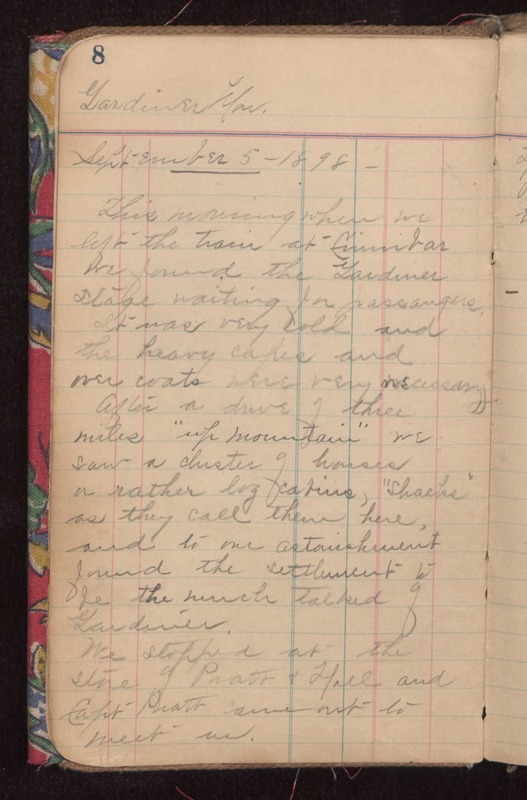 September 5 - 1898 - This morning when we left the train at Cinnibar we found the Gardiner stage waiting for passangers. It was very cold and the heavy capes and over coats were very necessary. After a drive of three miles "up mountain" we saw a cluster of houses or rather log cabins, "shacks" as they call them here, and to our astonishment found the settlement to be the much talked of Gardiner. We stopped at the store of Pratt & Hall and Capt Pratt came out to meet us.